FTC Disclosure: This post contains affiliate links, which means we’ll receive a small referral fee from purchases at no cost to you. You can read our affiliate policy here. We donate 25% of our “click money” proceeds to these charitable organizations. We received our kit from pmd as a PR sample. Microdermabrasion is an exfoliating treatment that can be done at home or by a professional. A device with an abrasive tip (often sandpaper-like in texture) is used to slough away the outermost layer of skin cells. Because these cells are already dead, you won't feel any pain or experience any bleeding. The treatment allows a new healthier layer of skin to show. However, it means I'm scheduling fewer trips to the salon because there's not one near my house. 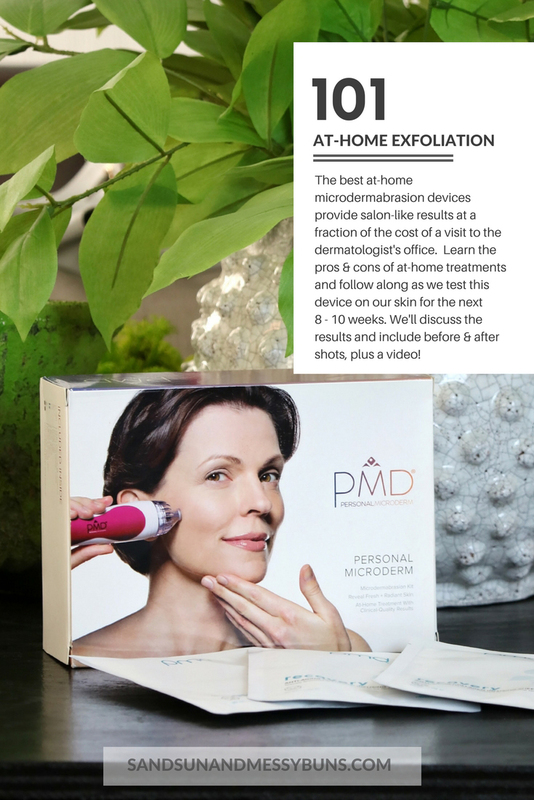 With the pmd kit, I can maintain good skin with weekly at-home treatments and only have to schedule salon visits twice yearly. I also don't have to worry about when an esthetician can fit me in or be concerned about heading into work with a bright red face after a lunch-time treatment. 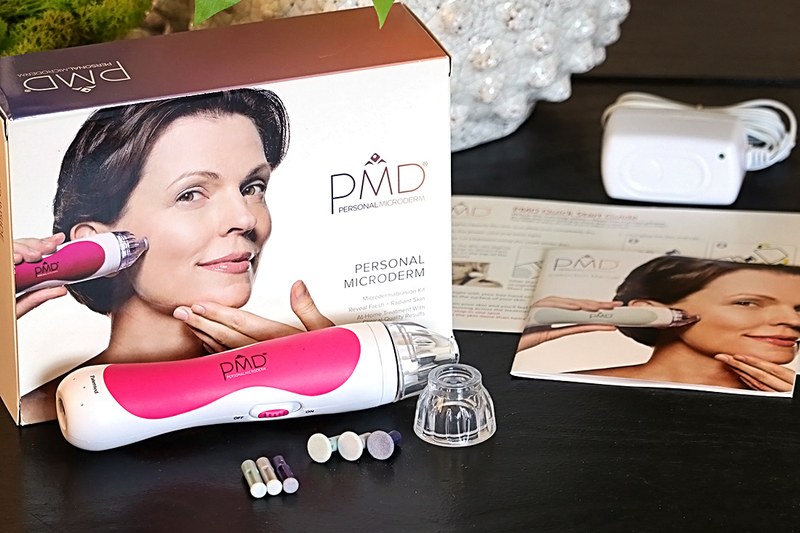 Frequent Treatments: The pmd Microderm instruction booklet says you can do weekly treatments, which is exactly what Daisy and I have both been doing. A dermatologist's office typically suggests you wait a few weeks between appointments. More treatments = more opportunities for skin to turn over and renew itself! Daisy will likely post on YouTube at some point to demo how easy it is to use, and we'll be back in a few weeks to show the results after regular weekly use. 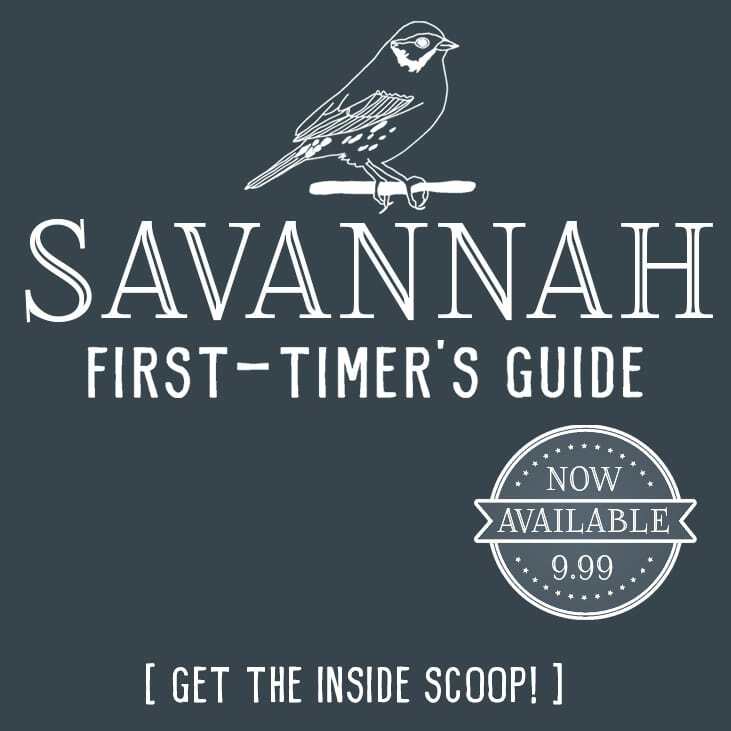 If you're signed up for our newsletter, you probably noticed we already listed it as one of our favorite beauty finds for the month! We both noticed that our makeup went on better and our skin looked smoother after just one use. Oh, you should. It’s made such a difference and it’s only been a couple weeks so far! I love my at home microderm abrasion. I LOVE it! So good for your skin.